It was the best of times; it was the worst of times. It was our favorite resort; it was our most despised resort. 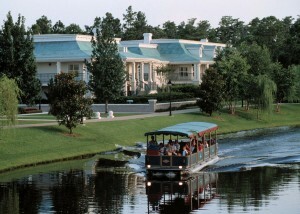 It is Port Orleans Riverside, and it is the resort that we have a love/hate relationship with. The first time we stayed at Riverside, it was like a honeymoon. We were located in the Magnolia Bend section, which is brimming with Southern charm. There are four grand mansion buildings that resemble manor homes of Southern plantations: Acadian House, Magnolia Terrace, Oak Manor, and Parterre Place. They each have three stories with grand staircases and stately white columns. Large magnolia trees with Spanish moss and azaleas surround the buildings. Our room was on the ground floor of the Magnolia Terrace building. It faced the rear parking lot and was secluded, quiet, and very near to the East Depot bus stop; perhaps a one minute walk. 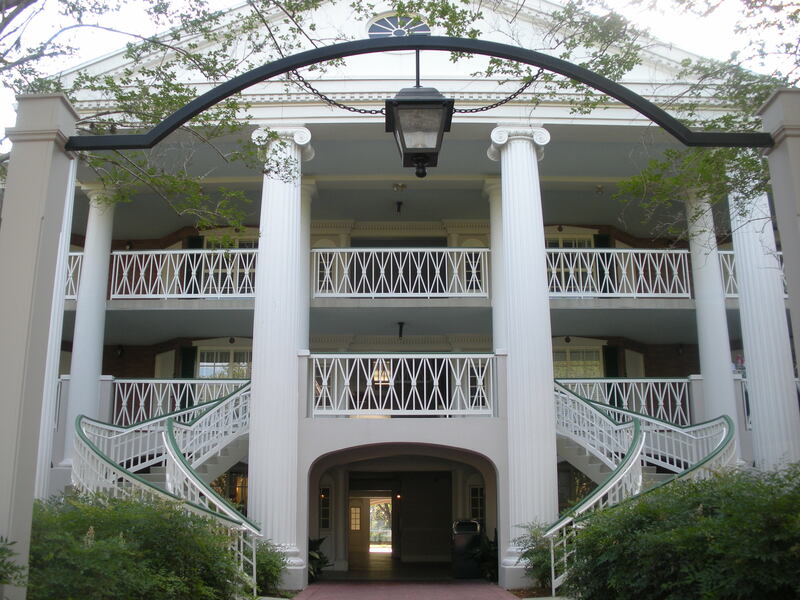 The room was also located such that it was a short walk back to the main building which houses the lobby, Riverside Mill food court, Boatwright’s Dining Hall, and River Roost Lounge (and our beloved Yehaa Bob). We had everything we needed in short distance to our room. The furnishings inside the room were just as pleasing as the exterior of the mansion buildings. Each standard room here has two queen beds, a table and chairs, fridge, coffee maker, flat screen TV, luggage seat, dresser, and nightstand. I must note that the Magnolia Terrace is a standard building, not a royal room building (Oak Manor and Parterre Place). It has undergone interior changes since we were last there. The bedding has been changed to the new standard all white with themed runner, but at the time of our stay was a serene blue. The room itself was clean and relaxing which reflected the general feel of all of Magnolia Bend. The bedspreads are now white with a blue runner. Running in front of the Magnolia bend section is the Sassagoula River which connects Riverside to Port Orleans French Quarter and ultimately Disney Springs. The river offers another mode of transportation to these destinations. It is approximately twenty minutes of pure relaxation. Leaning against my husband’s shoulder, I even took a small nap on one of these trips while listening to the boat’s motor hum and the waves lap along the hull. During our whole stay we were entranced with the lazy river, the swaying Spanish moss, and the Southern architecture that felt so romantic and lazy. It set the whole tone for the trip. Even my morning jogs between the mansions and river over to French Quarter and back were more of a leisurely stroll than anything else. I just couldn’t help myself to not rush the day. Watching the sun rays hit the Port Orleans water tower was like therapy. The stress from the real world just seemed to roll out and float away on the Sassagoula. 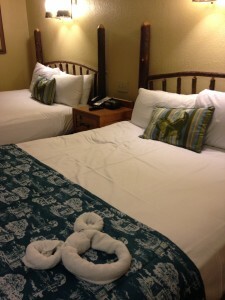 It was lazy; it was relaxing, it had quickly become our favorite resort on Disney property. The next time we booked Riverside we were eagerly anticipating the lazy peaceful vacation from before. We entered our second floor mansion building request at the time of booking and counted down the days until we were in that stress melting Southern atmosphere once again. The day of check in finally arrived. We were quite shocked to learn that requests are merely that: just requests, not guarantees by any means. Instead of the stately manor house we desired, they had given us a first floor room in Alligator Bayou. All we knew was that it was NOT a mansion building. Last time there we had never even walked over to that side of the resort so we didn’t really know what to expect. But it is Disney right? And how different of a feel from Magnolia Bend can it be? It is the same resort after all. It wasn’t like we booked Riverside and they were moving us to All Star Sports (nothing against Sports – just an analogy folks). We could not have been more wrong. The Bayou section is said to resemble small cottages or villages that are located in the Cajun bayou regions of LA. It features two story rustic, weathered wooden buildings that are surrounded by pines, irises, and swampy water features. It is much larger than the four building Magnolia Bend section. 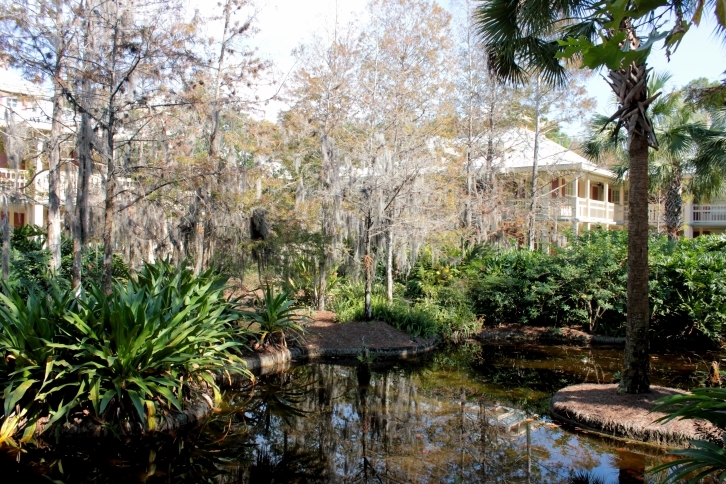 Alligator Bayou contains sixteen lodges situated on a catacomb of pathways. Even after eleven days there we still easily got lost when trying to get to and from our room. The path lighting here was dim and it was creepy walking back to the room each night; especially after we saw what another guest on the path called a weasel walk right out of a swampy section onto the walkway and mosey along to the next swamp area. Who knew what else was lurking in that overgrown (but I am sure precisely manicured) landscaping; an actual alligator perhaps? The twisting and turning walkways that seemed to double back on themselves also made any trip to and from our room seem quite long. The closest bus stop was the West Depot and it seemed to take forever to walk there. The main building was equally as distant. I could not image trying to drag young tired children back to the room each night after a long park day. Every time we tried to find a shorter route it ended up taking us even longer because we got lost in the swamp. The furnishings of the room are rustic inspired. The headboards and tables are made of hand-carved hickory and the other furnishings resemble packing/shipping crates. Each standard room has two queen beds, a Murphy (fold down) bed, a table and chairs, flat screen TV, coffee maker, and fridge. The Murphy bed takes the space of the traditional dresser, but larger families do seem to like the extra sleeping space. Since it is just the two of us, the space taken by the bed just seemed wasted and we ended up living out of our suitcase since we couldn’t really unpack our clothing. No matter where we vacation one requirement we do have is cleanliness. We have never had an issue with this at any Disney resort and we certainly had not had an issue with it during the first stay at Riverside. The room in Alligator Bayou was an eye opener: broken bed and table, black shower scum, left over makeup and ice still in the bucket from the last guest, and spattered grime on the side of the nightstand that resembled the spray of someone sneezing while lying in bed. We let mousekeeping in the first day and came back to dirty towels on our bed (not ours – ours were still hanging in the bathroom where we left them). I cleaned up myself after that, hanging the DO NOT disturb sign each time we left. It was frustrating, we couldn’t relax, and we just plain hated our stay in Alligator Bayou. Riverside, in the matter of a week, had gone from our favorite resort to our most despised. I vowed never to stay there again. Looking back, the Alligator Bayou section is, in pure Disney fashion, perfectly themed. It just was not the theming we had bargained for when we booked the reservation. The room interiors and the landscaped exteriors all bring to mind a swampy Southern Bayou as it was meant to. I can appreciate the detail and extra space for families. We were, however, expecting another peaceful, relaxing, Southern charm filled stay and were disappointed on that aspect. It was perhaps our fault for not researching the Alligator Bayou more. We didn’t think we would not get placed into another mansion building as requested. 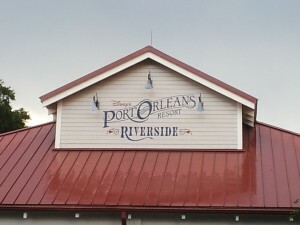 Perhaps we should have read Katie McNair’s article on Where to Stay at Port Orleans Riverside. Could we have experienced the dirty room, broken furniture, and long tiresome walks to the bus stop in the Magnolia Bend side? Possibly. But we didn’t. For us it truly feels like two different resorts in one; the coveted grand mansion living versus the poor swamp life. With the number of standard rooms in the Alligator Bayou far outnumbering those in Magnolia Bend, I vowed that we would not stay at Riverside again; the chances of repeating that experience are too high. But… it has been almost a year since the Alligator Bayou incident and the discount we were offered for a Riverside stay was incredible. I won’t know for a few more months whether Riverside has won my heart back or if I will be kicking myself in the pants and saying I knew better. Either way I hope to have a great follow up piece for you! We returned from our first stay at Riverside just a few short weeks ago, and we can’t wait to get back! We chose Riverside partially on recommendations from TouringPlans.com and the Unofficial Guide. We requested a room in Alligator Bayou especially because of the Murphy bed. I have a six-year-old, and it was just too exciting for him. We used the room request feature included with my TouringPlans.com membership, requested a second floor, outside corner room in Alligator Bayou, close to transportation. I am happy to report that we got just that. We were facing the parking lot, but we had those two exterior windows which I think are a great benefit. Riverside also has the added bonus of four bus stops, and once we got our bearings, we were delighted to find the North Depot was less than three minutes away. The lobby and main pool were admittedly a bit of a hike, but the quietness of our room more than made up for that. We never once had a problem with the cleanliness of our room. Mousekeeping took great care of us. I got up a little earlier than everyone else each morning to jog around the resort, and there truly is a marked difference between Alligator Bayou and Magnolia Bend. These private exploring sessions helped us find our way around a little better, but the Bayou is admittedly pretty confusing. While we got to know it fairly well, a week definitely wasn’t long enough to experience all Riverside has to offer. I hope your upcoming stay is as magical as your first one was! Everyone in our party fell in love with Riverside and we are already planning our next visit. We had a similar experience staying at Alligator Bayou at Riverside 6 years ago and vowed never to return. Having small kids at the time, the path’s did stink due to fatigue, and the bus service was the worse we ever experienced at Disney. We usually stay at Deluxes or Pop and definitely would have chosen either of those over Riverside based on our experiences. We’ve stayed at French Quarter since then and loved it and will be staying there again next year. Riverside is a nice place to visit and nice to walk through but I don’t see us staying there unless my daughter wants to try the royal rooms sometime. I don’t think you can blame poor housekeeping on whether you stayed in Alligator Bayou or Magnolia Bend. It’s all one resort so if there is an issue with housekeeping it could occur in any section, in any room. We stayed in Alligator Bayou many years ago and it was one of our favorites for sure. I love the shaded meandering paths. I found it very peaceful, even though we were carting along 2 young kids. To each his own, for sure! Michael, What is CSR? Thanks! We were lost. For a very long time. The place was, indeed, riddled with poorly lit trails which redoubled on themselves and never went where you thought they should go. To make matters worse, there were no helpful signs or maps or ANYTHING ANYWHERE. We were lost, alone, and tired for a very long time. We finally found a twelve year old boy who pointed us to the main pool and we made it home. (And BTW, what was he doing being out and alone on those trails at night?). I admit that I hadn’t researched the layout of Alligator Bayou at all, but I think it wouldn’t have killed any imagineers to put up a few appropriately themed signs pointing the way to the pool and food court. Other than that twenty (!) frustrating minutes being lost on our resort grounds, it wasn’t a bad trip. We had a similar experience on our first visit to WDW in 2009. I specifically asked the Cast Member upon check in if there were multiple bus stops or just the one near the main building. When we returned after a long day in the parks we just got off at the first stop and were completely lost. We ran into a mousekeeper and asked how to get to our building and she basically said you can’t get there from here! We were so far she was horrified. Took us about thirty minutes to get back. We laughed about how we almost had to leave our weakest member behind! It’s all about personal preference. My first three stays at POR (back when it was still Dixie Landings), we always stayed at in Magnolia Bend. 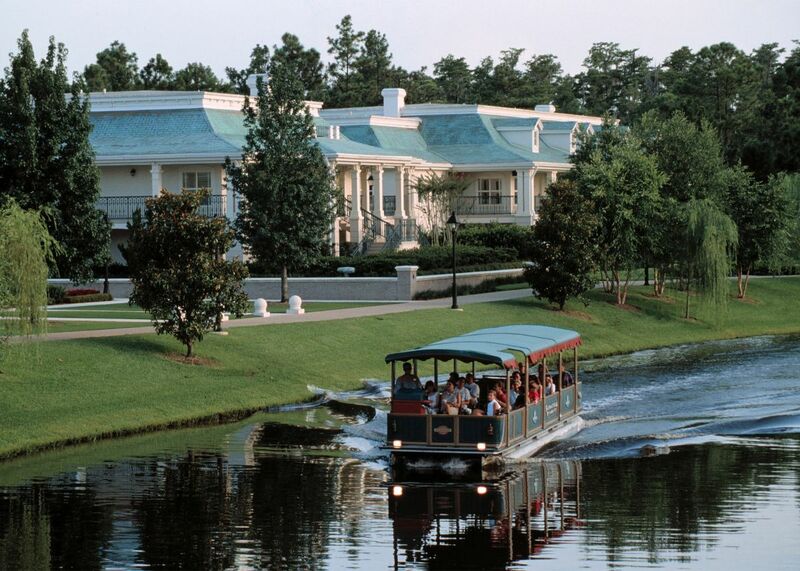 In 2009, I opted to try Alligator Bayou and loved it- will request that section of the resort for all future stays. My son was 2 (almost 3) on his first visit and he loved the landscaping and “funny shape” pools in Alligator Bayou. He especially loved to say good morning and good night to the horse shaped hitching posts at either end of the bridge we crossed going to and from the bus stop every day. POR will always be my “home resort” however the buses do get entirely too full. Some mornings we waited 40 minutes to get on a bus to the parks because the ones that pulled up to the depot were almost full and could only squeeze in a handful of people. If I checked into a hotel room and found “broken bed and table, black shower scum, left over makeup and ice still in the bucket from the last guest, and spattered grime on the side of the nightstand that resembled the spray of someone sneezing while lying in bed” I would be walking straight back down to reception to get a change of room! I agree 100%! I would not stay five minutes in someone else’s filth. We have stayed at Alligator Bayou twice in the last 3 years and love it. We have had Mousekeeping issues at both Deluxe and Moderate resorts before so I think that can and unfortunately does happen anywhere at Disney World from time to time. I found the signage to be helpful getting from the room to the main buildings. I will say we always have a car and outside of going to the Magic Kingdom would drive to the parks but we did walk to the main pool every afternoon and breakfast every morning Riverside Mill. We loved staying there a lot and are planning our third visit next summer. Hopefully you will have a magical experience again at POR. We’ve only stayed at Riverside once, in a standard Magnolia Bend Mansion room. The room was amazing, we lucked out and got a room on a corner of the building that let in a lot of light. I would definitely stay there again. 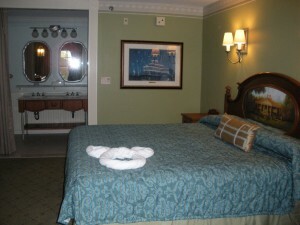 We loved a lot about that resort-the food, the pool, the activities, the water taxi to Downtown Disney. The only drawback were the buses, so many stops, so full. We’ve stayed at Riverside once. We’ve previously stayed at 2 other resorts on property. We thought the theming was enjoyable, the rooms were fine, and we were pleased to see activities at the resort on Halloween that even included a character or two. Our biggest complaint with Riverside was that the food court, in particular, was not big enough to service the number of guests staying there. Breakfast and dinner were complete scrambles to find table and chairs for our group of 6 people. This was true from about 7:30 am to 9:30 am, for breakfast. In contrast, a property like Coronado Springs is great because some of the guests are there for business and some are on holiday, but there is not the same demand for the same facilities all at the same time. That’s funny (not funny, haha) but that’s how I felt about our last stay at Fort Wilderness. We have always stayed at Fort Wilderness. It was where we stayed our very first trip and we were so delighted by the secluded, homey feel of it, we chose to stay there for every trip. Our last trip however, our cabin was infested with roaches. I’m not talking a roach here or there (I know they’re common in Florida) but we had killed at least 20 in two days. They were literally coming out of the woodwork. We of course complained and they just kind of blew it off like we were the crazy people that couldn’t handle a few bugs. We captured a few and stuck them under a mason jar cup that was in the room and made someone come out and take care of it. When we got back to our room that night (after a very long day at HS), there were even more roaches creeping around the room (and they even so kindly left the ones under the cup for us-eww!). We drove to the lobby and demanded they move us. They ended up moving us to Riverside, in an Alligator Bayou room and we really liked it, lol. Secluded, just like Fort Wilderness. Anyway, they moved us back to another cabin again. This one has mosquitoes in it. I felt like we couldn’t complain cause we were out in the woods and it was damp/soggy (January) so they were bound to be everywhere but the kids were freaked out and we really killed a lot of them. I imagine they (housekeeping) must have left the door open for a really long time and I think every mosquito on that resort flew into our room, lol. Our second cabin had no hot water. We called twice to have someone come out and fix it and they eventually did (almost 12 hours later) but it stunk (literally, lol) not to be able to take a shower. On our final day there, we found some fleas in the room. I think that was the last straw for us as we’ve been looking into other resorts for our next trip. This is literally the exact opposite of my own feelings and experience at Port Orleans Riverside! I have stayed there multiple times (not sure the exact number, but I’m guessing near 10) and I love Alligator Bayou. The one time I stayed in the mansion section, I was extremely disappointed. For me, it lacked the charm of the cozy Alligator Bayou area. In addition, there was less storage and it seemed more run down. I have had issues with rooms before, twice, both on the same trip, but the second I brought it to their attention, it was swiftly dealt with, with a room change once and a cast member to fix something not working the second time. I do admit that the winding pathways can be very, very confusing, even with my familiarity with the paths. I do enjoy the shady paths, though! 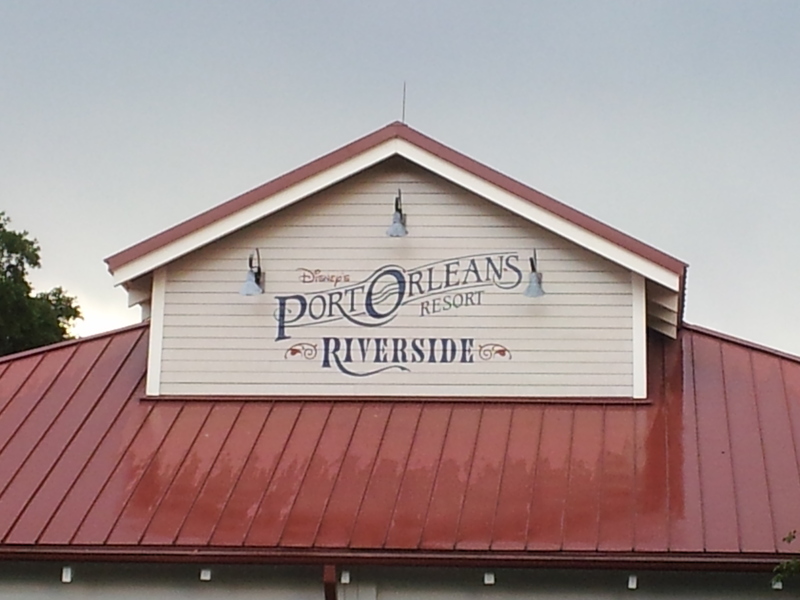 I am trying out Port Orleans French Quarter soon for the first time, so I’m looking forward to comparing the two resorts. I’m hoping that your third trip will be a much happier experience! This resort is not for me. We’ve stayed here twice and tried to fall in love with it but it just wasn’t up to par. The resort is huge. And very confusing. If you have small kids, lots of luggage or mobility issues this is a major problem just getting back and forth from your room to the lobby/dining areas. The dining hall was also a major hassle, lack of tables, trays, tons of noise and general chaos. And most people don’t pick up after themselves leaving dirty plates, trays, napkins all over the tables. The pool was also lackluster. After 15 mins my kids [age 11 and 8] were bored with it. Many bus stops = lots of waiting, and then usually cramming into a full bus. 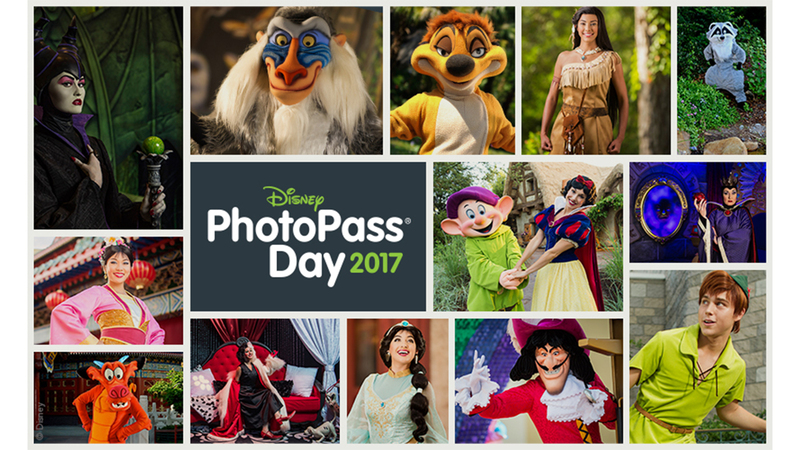 If you have the luxury of taking several trips a year to WDW I can see how this would be passable to save $, but for me who gets 1 shot a year, no way. 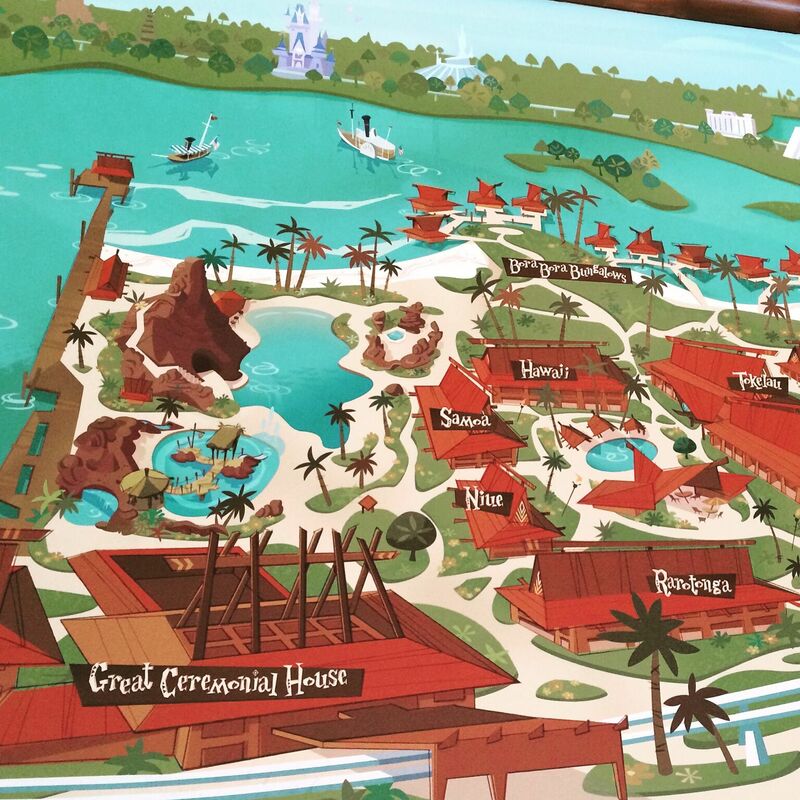 Yacht Club, Boardwalk and Poly are 5 times better and worth the extra money. There really is a difference in deluxe vs. moderate so keep that in mind if you only get to travel once in awhile to WDW. My 2 cents! The part of this article that really gets me is the part about the housekeeping! You absolutely should have gone right back to the front desk and demanded a new room (at which point I would be shocked if they didn’t accommodate you in some way with “extras”). To all those reading this article I would NOT recommend doing what this writer did and close the door and do your own housekeeping- I do not think Disney would want this- you should have called again and you should have been accommodated. If anyone is ever at Disney with this type of lack of service- complain immediately! They will fix it and make sure you are happy!! Not just Disney, if you are at any hotel and you aren’t happy with the standard of the room when you arrive, go back to the front desk! We got moved at a hotel in LA just because there was no room safe and we wanted a room that had one. Also if you aren’t happy with the location of the room, it does no harm to ask for a different one, worse they can say is no we don’t have availability. This reminded me of our experiences at Pop Century. First time we stayed there, loved it. 4th floor, pool view, short walk to food court and that was out at building 9. There was even a great shortcut to the bus stop. The next year I requested the same buildling, which we got, but those buildings are so huge, we ended up on the opposite side and a completely different (worse) experience. It was far from the elevator so we ended up just taking the stairs. It was as far as you could get from the food court. Just terrible. The 3rd time we stayed there, I did a ton of research and ended up with a first floor room in building 6. It was an ideal location. Long story short…this can happen at any resort. I’m hopeful that your next stay at POR finds you in a cleaner and more convenient location.